It was a joy working on this new play based on Thornton Wilder’s Pulitzer-prize winning novel, adapted by and starring David Greenspan. My approach, in collaboration with David and the director Ken Rus Schmoll, was to immerse myself in the art and clothing of 1710s Viceregal Peru; then find ways to re-interpret them with a modern eye. The cast was visible in the wings as the story unfolded, so pieces had to be easy to add and remove, especially for the multiple roles played by Steven Rattazzi. 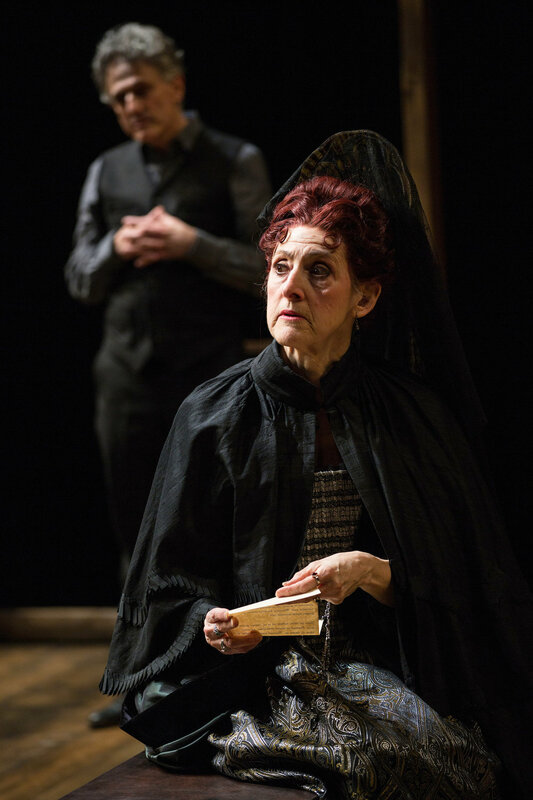 I was thrilled to work with the costume shop staff and draper Jill DiGiuseppe, who made a gorgeous deep green mantua dress for Mary Lou Rosato as the Marquesa de Montemayor. For her daughter Clara, I took details from a 1940s Balenciaga gown which echoed a Spanish infanta’s court dress (realized beautifully by Esther Arroyo). 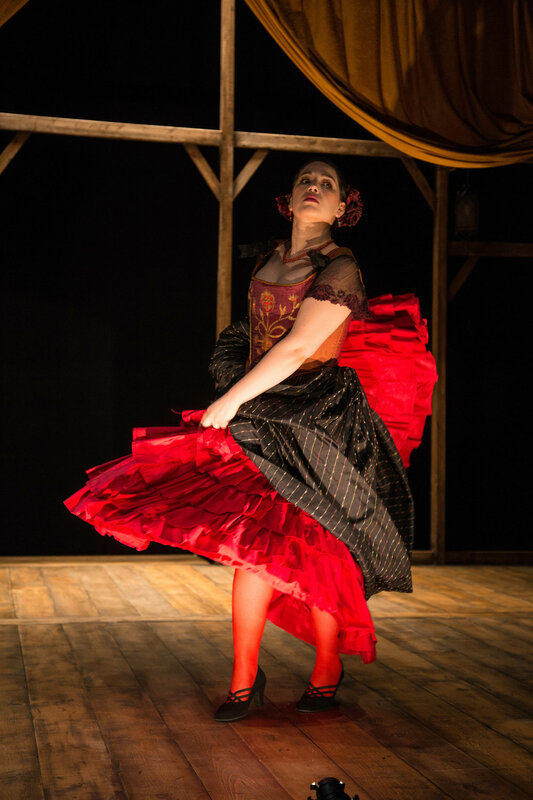 For the character of La Perichole, I hand-painted and embroidered a corset stomacher to relate to set designer Antje Ellermann’s gorgeous painted stage curtain. Because the actress goes through many phases of life in the story, I needed simple ways to shift her from a celebrated young star to a middle-aged recluse. As she aged, a black satin majo jacket, veil and lace gloves and fichu were gradually added. The process of creating a new play at this special theatre and the results found together could not have made me happier.